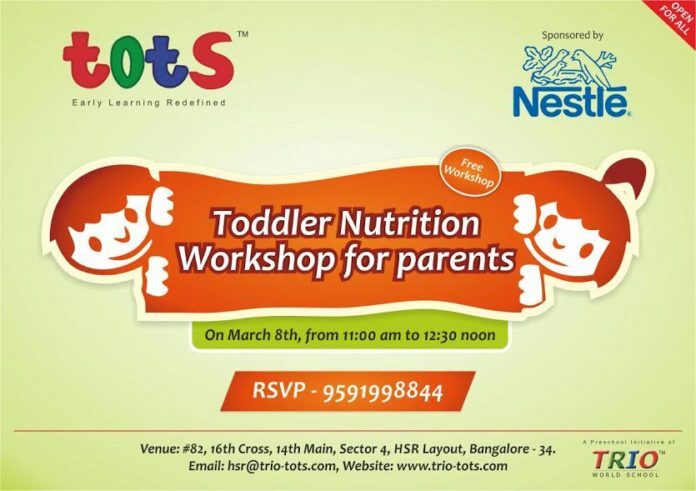 Bangalore: Trio Tots, the pre-school wing of Trio World Academy in association with Nestle hosted a free Toddler Nutrition Workshop for all parents. The workshop that was held today at the HSR Layout campus of the pre-school highlighted on the importance of practicing healthy diet for growing toddlers. Parents were given guidelines on fixing the right balanced diet for their toddlers. India has around 46% of underweight children. Over 79% of them are anemic. Although these numbers are prevalent largely in rural areas, urban areas also contribute to them. 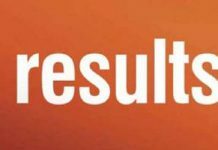 The change in lifestyle and nutrition supplements has made it difficult for parents to arrive at the right diet for the kids. Hence, many children today grow with lower immunity and high susceptibility to infections and diseases. This can prevent proper growth in children and also stunt their cognitive development, making it difficult for them to fare well in schools. “Most parents today are always concerned whether they are providing their children with the right kind of nutrition. Their concern is valid as lack of proper nutrition can affect the growth and cognitive development of young children. 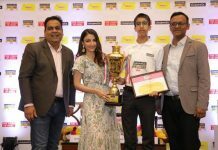 In order to put their apprehensions to rest and give them adequate understanding of what is best for their kids, we had organized this workshop in association with Nestle” said Mr. Naveen KM, Managing Director Trio World Academy.